Detective Joe “Coffee” Coffinski is a tough-as-nails New York City lawman who has no problem breaking the law in order to enforce it. Tormented by inner demons, Det. Coffinski is ruthless in his pursuit of criminals, as if each new thug he puts behind bars will help make up for the mistakes he has made in the past and provide salvation for his massively damaged psyche. The amount of criminals Coffinski has put behind bars is outnumbered only by his own personal issues: 10 years ago, Coffinski was providing lookout during a raid on a drug warehouse of the Gambini Crime Family, the biggest criminal organization in the city, for his partner and best friend of 20 years, JT Smith (Damon Wayans Jr.). While waiting outside in a surveillance van, Coffinski fell asleep and was unconscious when his partner was discovered and ultimately killed. JT Smith was screaming for backup the entire time he was being executed. Since that day Joe Coffinski promised to never fall asleep on the job. As a result, he developed a severe addiction to coffee that haunts his every waking moment. 10 years later Coffinski can’t go 10 minutes without a fresh cup of the caffeinated brown stuff. He’s constantly jittery, excitable, and prone to sudden bouts of rage – which are usually directed at the latest perp he has chased down. His methods have crossed the line of moral and legal responsibility more and more with each year. Beating criminals into confession, shooting guns in residences to scare witnesses out of hiding, threatening old women, Coffinski will stoop to any level to catch the bad guys. Worse yet, Coffinski is on the take: The Columbian Bean Cartel provides Joe with a fresh shipment of their premium brew every month in return for him turning a blind eye to the untaxed coffee shipments that come to the NYC port every day. His massive addiction has other negative consequences for Det. Coffinski as well: Because he drinks so much coffee, he’s awake at all hours. With nothing else to do at night, Coffinski began gambling on overseas horse races all night, every night. Soon he accrued huge gambling debts that caused his wife Pamela (Drea de Matteo) to walk out on him. The last bit of keeping-it-together Joe could manage was gone the minute Pamela left. Fueled by premium Columbian Cartel coffee Coffinski began finishing his nightly gambling jags with visits to the city’s seediest strip clubs. One morning after an all-night coffee bender a file comes across Joe Coffinski’s desk: The Gambini crew has begun selling dangerous (and dangerously addicting) sleeping pills to teenagers. And what’s more: The police finally have a suspect who may be able to point them to Richie Gambini, the head of the Gambini Crime Syndicate and the man who personally put the fatal bullet in JT Smith’s head. The suspect turns out to be a stripper named Melody Walker (Olivia Wilde). Joe is a frequent customer of Melody’s, a tough young woman with a hard outer shell who might just be secretly hiding a heart of gold. So Detective Joe Coffinski sets out to take down crime in New York City once and for all. Joined by the vulnerable but savvy stripper-turned-witness, Coffinski will take matters into his own hands to attempt to save the city from filth before his own dirty deeds result in his own personal undoing. 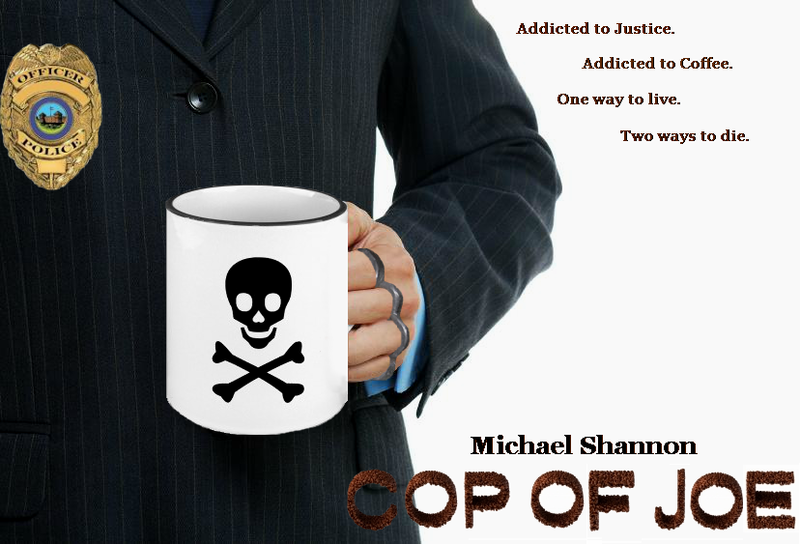 Cop of Joe is a dark, gritty, violent tale of the contemporary issues we face both as individuals and as a society. The brutal saga of Joe Coffinski is an examination of how sometimes our own worst impulses can become both our undoing and our salvation. Because sometimes, when the coffee cup of life is empty, a man has to brew up his own pot… of justice!